At one time the mere use of a food prop would have been a sophisticated step forward in merchandising. 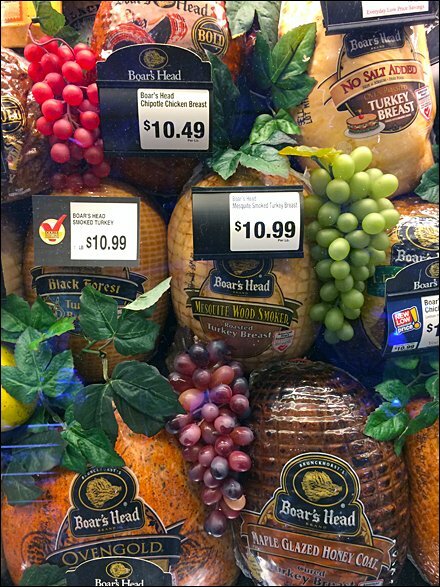 Now full selections of grape varietals with added leaf garnish are needed to market in-store with a flourish. 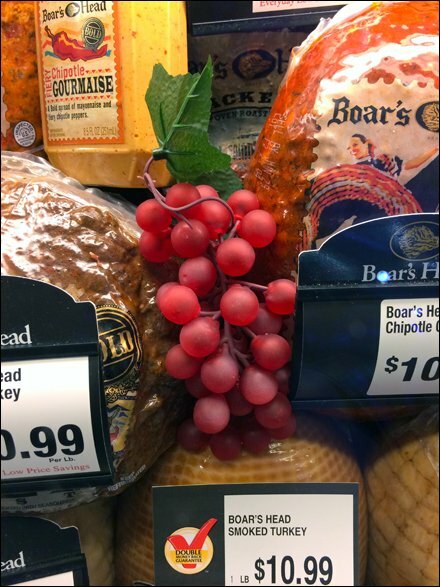 This offering might also sell well into produce and wine Visual Merchandising, while grape leaves are a reminder of the extra ingredient needed for “Dolma.” If not ofr the plastic material, this visual is completely consumable. CLICK the thumbnail to inspect the goods.